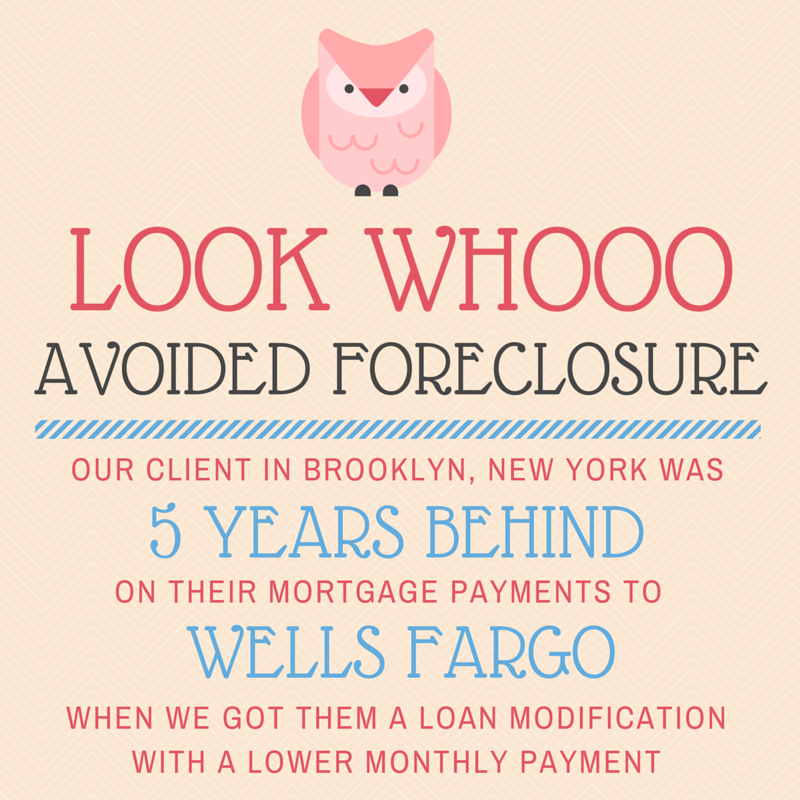 Loan Modification Success: Wells Fargo Payment SLASHED $1,700! Past due 9 months. Fixed 6% interest rate. Payment $641.18. No good faith deposit required. Three month trial plan monthly payments of $494.11. PITI Payment $757.08 with a sale date. Three month payment plan, payments of $645.79. Interest rate 9.375% PITI payment $696.86, payments were 4 months past due. New interest rate 5.25% fror the life of the loan. Contribution of $2,687.96 required. New payment is $545.08, savings of $151.78 per month. Previous payment of $1,700.00, past due $9,935.00. Sale date was scheduled and canceled. New payment is $850.00 with escrows included. Monthly savings of $850.00. Previous PITI $4,010.80, 5.75% fixed interest rate. Past due for 4 months, owing $16,043.20. Three month trial plan with payments of $2,974.34 starting October 1. Savings of $1,036.46 per month. Final modification will be approved after trial plan is completed. Borrower had missed 4 mortgage payments, owing $6,900. No arrearage due during modification process, borrower has resumed normal payments. Monthly payment was $2,746.94 PITI. Borrower is granted a 3 month trial plan with new payment of $1,424.15 PITI. After 3 timely payments, final modification will be negotiated. No good fait deposit is required, trial plan to a complete mondification with monthly payments of $1640. Small monthly savings, but the borrower is now able to make payments and keep their home. Mortgage payment was $2,290.47 PITI with 7.5% interest rate. Borrower was $24,190.40 past due. Borrower is granted a 3 month forbearance plan with payments of $1,982.82. Payment savings of $307.65 per month. New payment is $2,016.80 for 3 months while modification is in review. Borrower was 6 months past due and in foreclosure. Original payment $1,336.69 PITI with 7.0% fixed interest rate. Granted a 3 month special forbearance toward modification. Three monthly payments of $1,395.97 and then final modification will be granted. Foreclosure is on hold during this time. Borrower was 13 months past due and in foreclosure, owing $23,493.72. PITI payment $1,658.81 with 5.5% interest rate. Traditional modification with down payment of $2,888.81. Monthly payments remain the same and maturity date is extended 10 years. Borrower can keep their home! Borrower was one month past due. Monthly PITI payment was $1,313.00, with 8.75% interest. Borrower completed Trial plan and Final Modification is granted. New monthly PITI payment is $995.31 with fixed 4.875% interested. Monthly savings of $317.69. Borrower was 14 months past due and foreclosure proceedings had been started. Monthly PITI payments were $1,706.42 with a fixed 7.375% interest rate. Borrower received a traditional modification and monthly payments were reduced to $1,372.11 ($334.31 savings per month). Interest rate was lowered to 4.75% for the life of the loan, and foreclosure was suspended. Borrower was current, hadn't missed any payments. Borrower had a fixed interest rate of 5% and monthly payments of $1,866 PI. Borrower was granted a 4 month forbearance plan with payments of $1,293.14 per month. Borrower successfully completed the forbearance and was approved for a final modification with an interest rate starting at 2.375% for 5years, than 3.375% for 2 years and finally 4.375 for the life of the loan. Monthly payments were reduced to $1,303.81 ($562.19 savings per month for the first 5 years). Borrower was past due $13,885.30 with monthly PITI payments of $1,383.91 and 6.250% interest. Foreclosure sale date had been scheduled. Three month trial plan with monthly payments of $1,355.64. Borrower successfully completed trial plan and was granted a final modification. Sale date was canceled and Wells Fargo brought the account to current status without requiring a good faith deposit. New monthly payment is $1,263.88 with 4.75% fixed interest rate ($120.03 savings per month and a fresh start). The borrower was six months behind on making mortgage payments with a past due amount of $5,118.05. He had a 6.25% fixed interest rate and his monthly mortgage payments were $1,058.44 (PITI). The borrower received a three month trial loan modification with monthly payments of $903.98 (monthly savings of $154.46). The borrower received a final loan modification with a fixed interest rate of 4.875% and a reduced monthly loan payment of $911.53 (PITI). This is a monthly savings of $ 146.91. The borrower received a fresh start and now can afford to pay their mortgage. Borrower was past due, owing Wells Fargo $19,654.07. Monthly mortgage payments were $3,674.46 and it was an adjustable rate mortgage, currently at 6.99%. 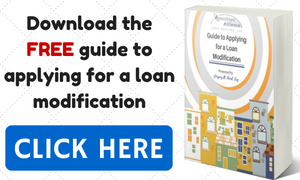 Borrower was granted a traditional loan modification and the past due balance was placed at the back of the loan. New payments are $2,401.57, with a fixed interest rate of 3%, this is a monthly savings of $1,272.89! After two unsuccessful loan modifications with Wells Fargo in the last two years, borrower was again 7 months behind, owing $8,197.25. Brought current with a new loan modification. Borrower is required to make a down payment of $1,600.00, but is granted a new monthly mortgage payment of $1,203.52 with a 4.25% fixed interest rate.